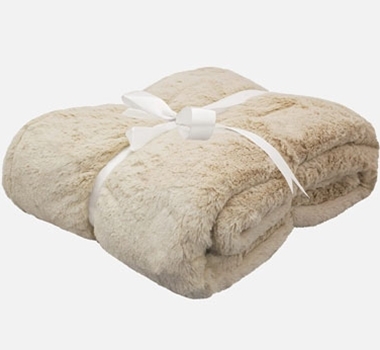 Cuddle up in plush perfection with this luxuriously comfortable throw blanket, made of viscose from bamboo. The soft oatmeal color will go great with any home design and will bring a smile to anyone who uses it. We've added quilt batting to the blanket's interior core to provide a natural weight that you'd expect from a luxury blanket. The plush-pile fabric makes this Cariloha bamboo blanket ultra-comfy and ideal for year round use. Machine was cold, tumble dry low and you’re good to go.